2XU Fitness Print Compression Tights are the tights for those who are looking for optimum comfort, feeling and shaping. The Fitness Tights have a milder compression pressure than the remaining 2XU models. 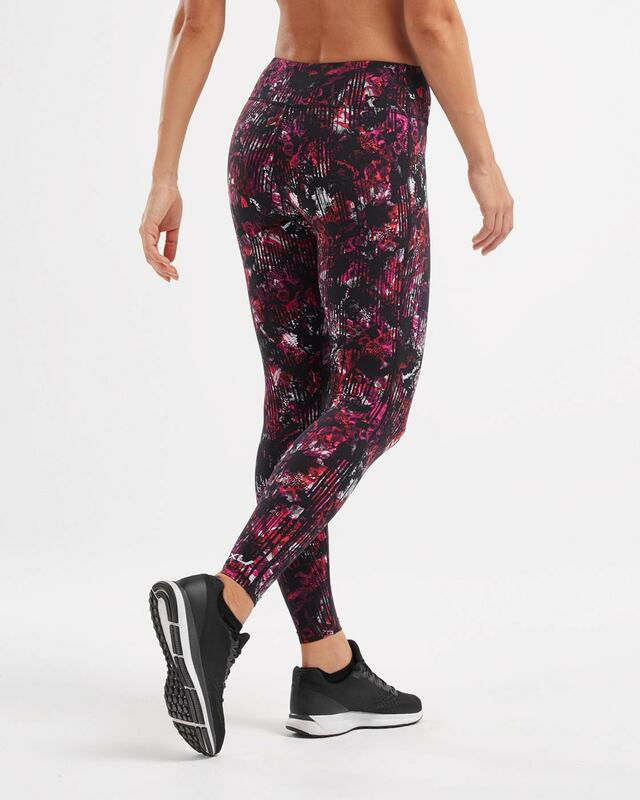 2XU Print Fitness Compression Tights has a milder compression and is made in the 40/40 Interlock material which is a softer material than our performance models but is designed in the season’s hottest colors. The 8 cm wide waistband provides good support and comfort during activity. The fitness range is made from a softer and more matte material than other models of 2XU, but without the expense of features such as flexibility, breathability or the comfort you find in other models. 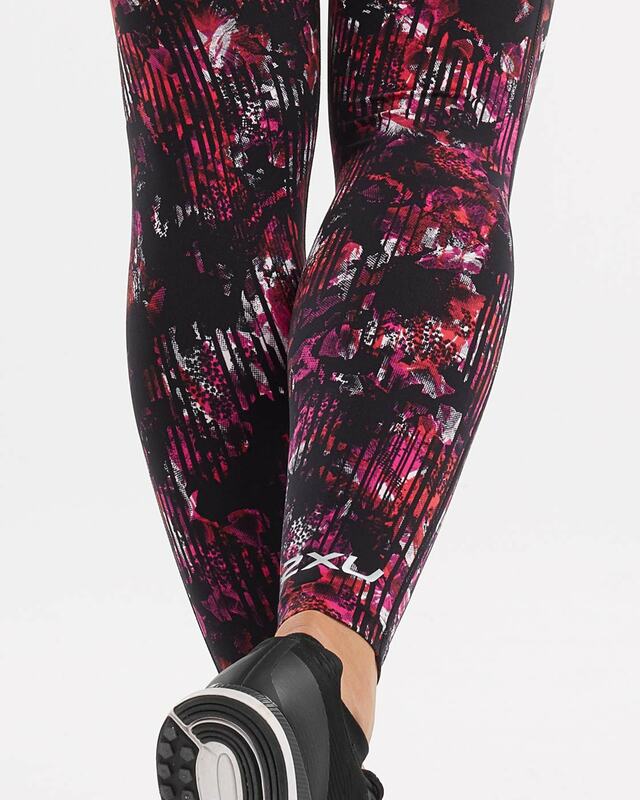 A perfect tights that work just as well at the fitness center as for low intensity exercise as a walk. With great comfort, a comfortable fit and a trendy design, this is something you absolutely need in the training wardrobe. The tights have sun protection factor UPF50 + and are anti-odor treated with Polygiene.